Country Pointe in Dix Hills Long Island is a 24 hour guard-gated Single Family Home community in Suffolk County New York 11746. Country Pointe was opened in 2004. It’s a private single family home community nestled in Dix Hills Long Island. You can navigate to Country Pointe by the Long Island Expressway Exit 50, and onto Wolf Hill Road to Carmen Road or Half Hollow Road to the gatehouse entry. The homes in this well-maintained community are Colonial, Post Modern, or Ranch style floor plans. This is a unique community on Long Island. While there is the tennis and a play area within the complex, there is also a pass-through gate to “The Greens” facilities with the use of their clubhouse, pools, gym and more. Country Pointe homeowners can use these amenities, but the owners at The Greens do not have gate access into Country Pointe. There is a monthly fee that is added to the homeowner’s association fees for these amenities. 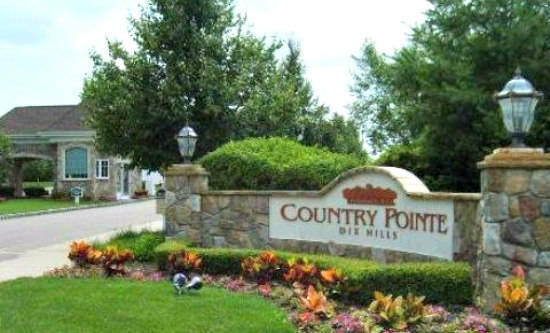 The homes at Country Pointe in Dix Hills have under half-acre lots to over 1 acre lots. The houses have central air conditioning, gas heat, 2 or 3 car garages and basements. According to public records of the multiple listing service, so far as of this date November 2016, there were closed sales at Country Pointe, Dix Hills NY between $1,1000,000 for a 5 bedroom 3.5 bath home to $1,770,000 for a 6 bedroom 4.5 bath Floor Plan. If you would like to find out more about the Luxury Homes at Country Pointe in Dix Hills Long Island, or any other gated community, call Lawrence And Sheila Agranoff at our Cell 631-805-4400. We help Buyers and Sellers on The North Shore Of Long Island.